Posted on Friday, September 4th, 2009, by Brenda Pottinger under Engagements. 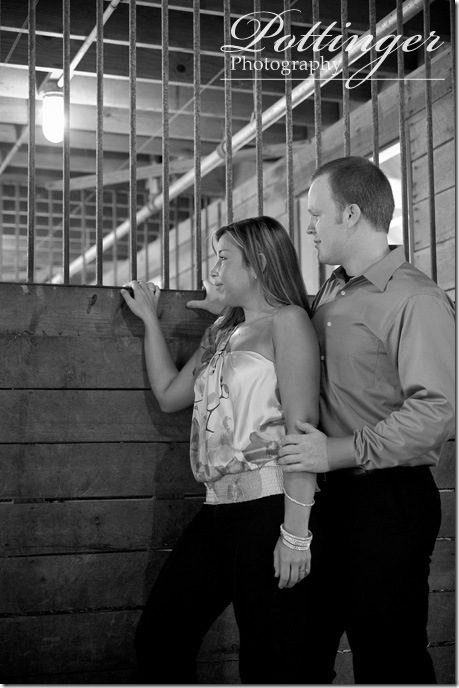 Erica and Bryan invited me to Lexington for their engagement session. 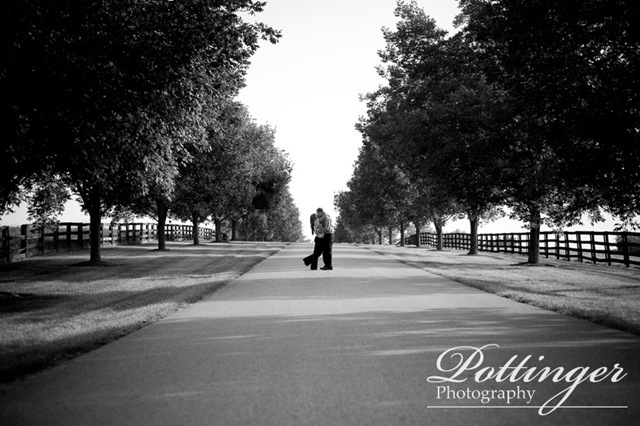 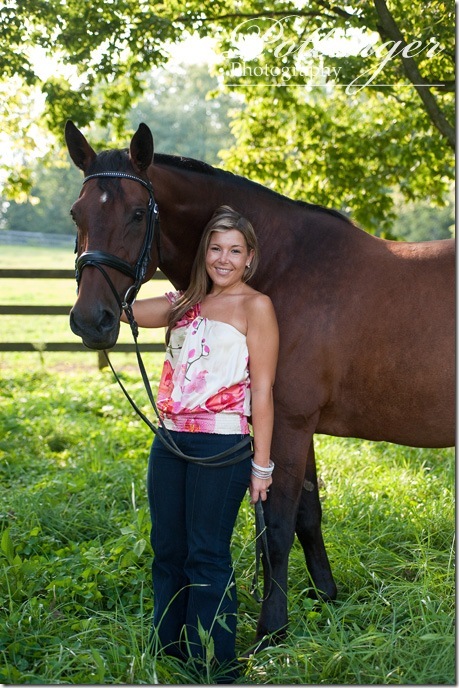 Erica is quite the horse lover and wanted the Kentucky Horse Park to be the background for her photos. We had a lot of fun exploring the park together and Erica pointed out some of her favorite spots. One of my favorite spots was down by the lake. 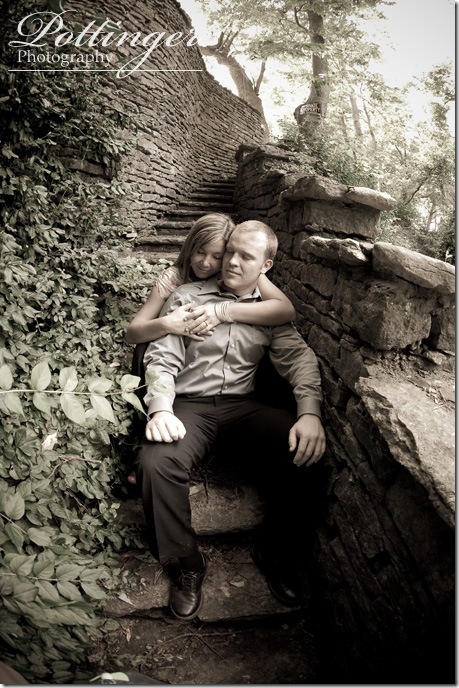 There is a spot where people are often married and the light was streaming through the trees just perfect. 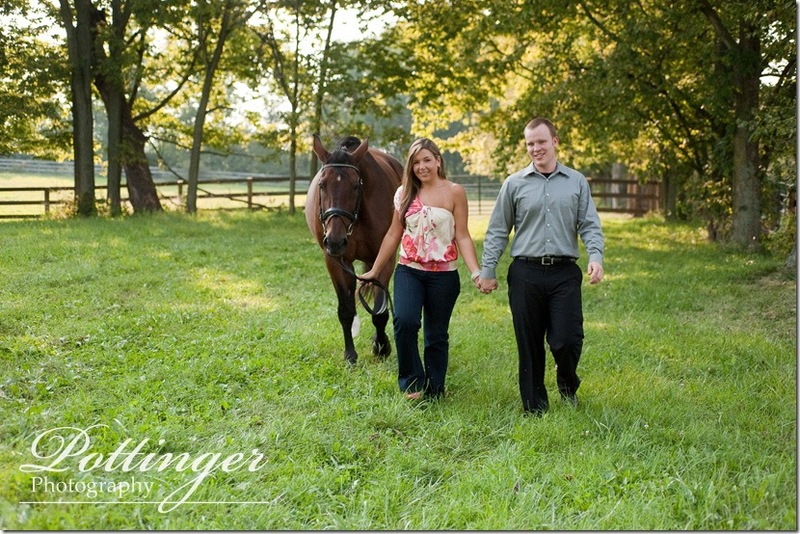 Next we went to Waterwild Farm to take some photos with Erica’s horse. 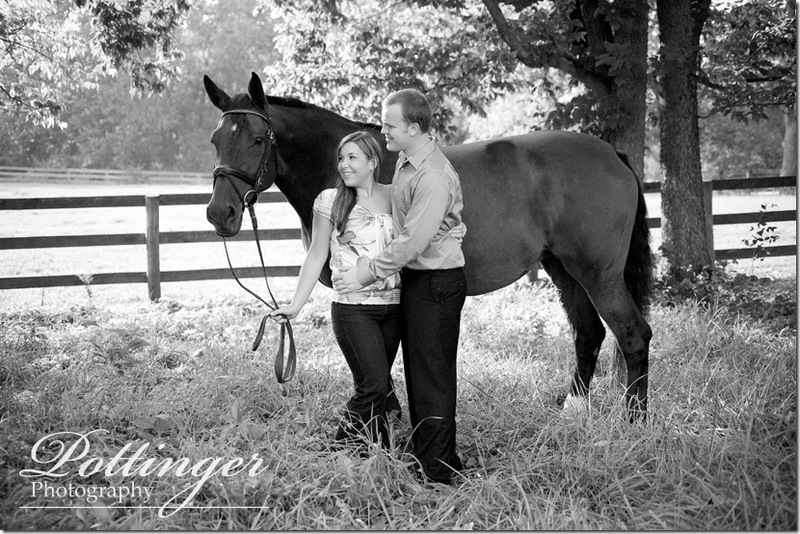 We had fun trying to pose her horse and them at the same time (thanks Karen for all of your help). 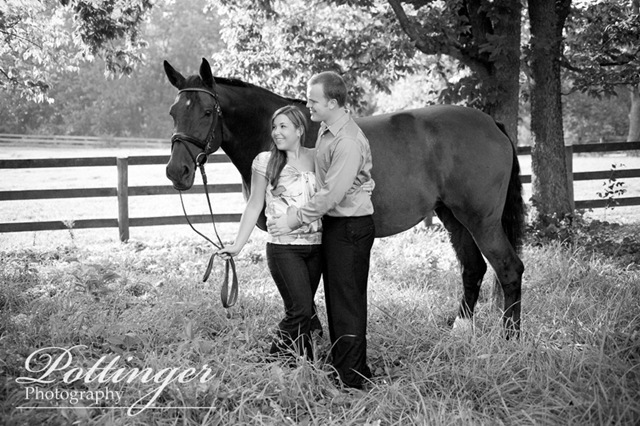 And then for the final photos, I had to get a classic Lexington photo! We went to Spindletop Hall (where the couple will be getting married in the Spring) and photographed the couple with the beautiful tree lined fences. 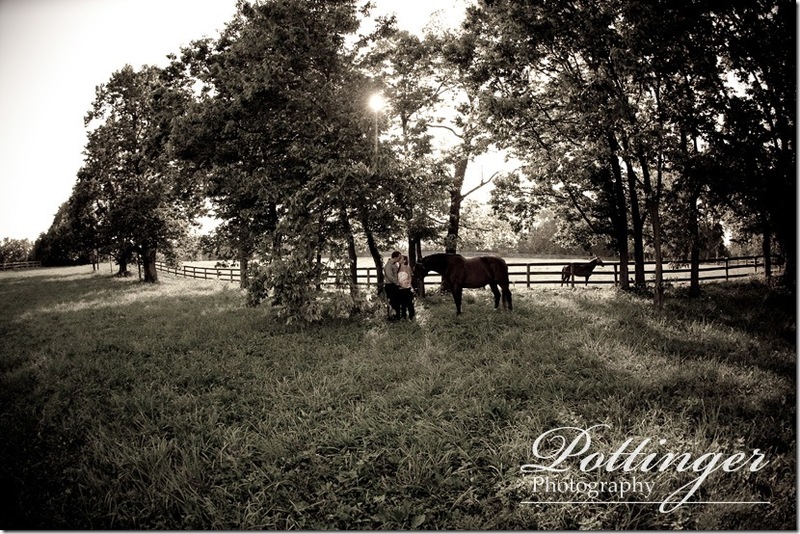 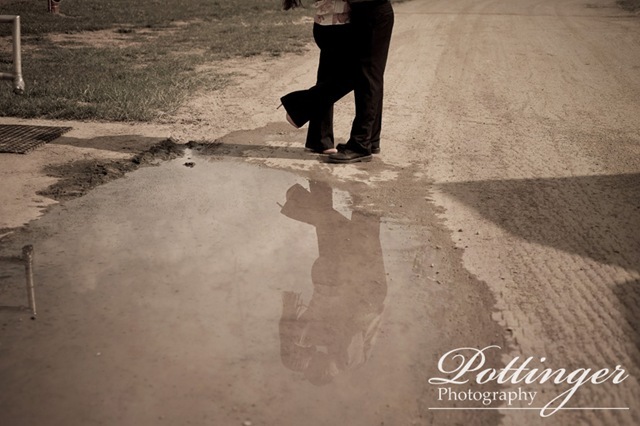 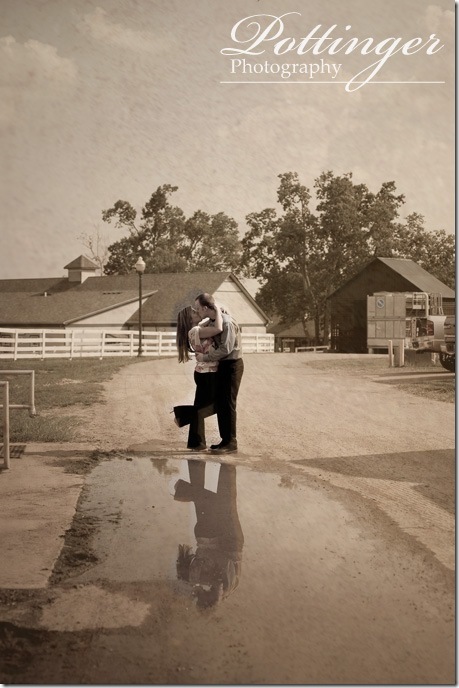 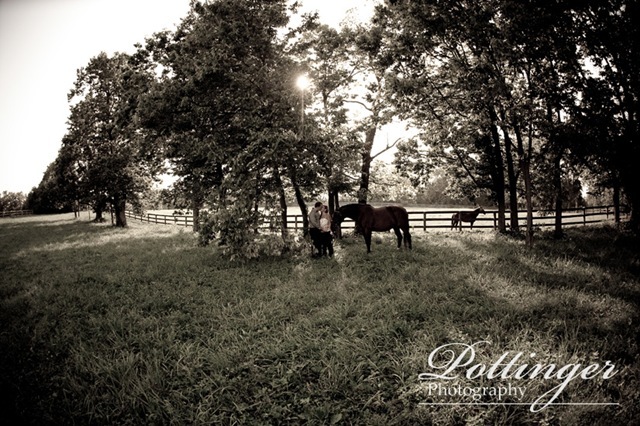 All in all it was a true Kentucky engagement session! 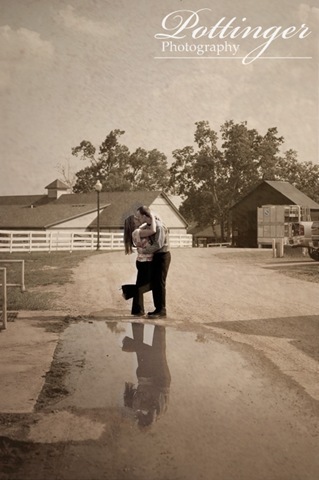 I even bought an Ale-8-One at the gas station on my way home! 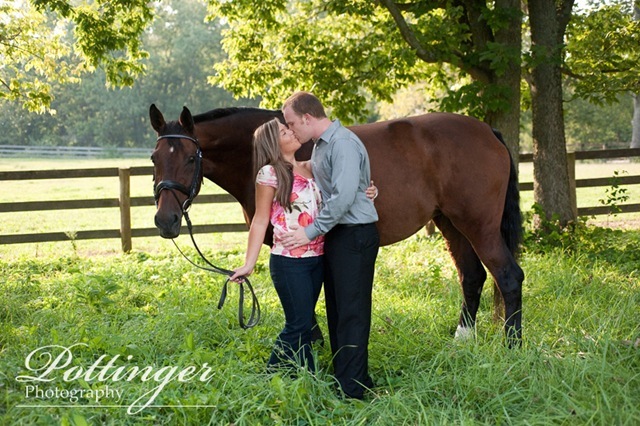 Erica and Bryan thank you for sharing your Lexington with me! 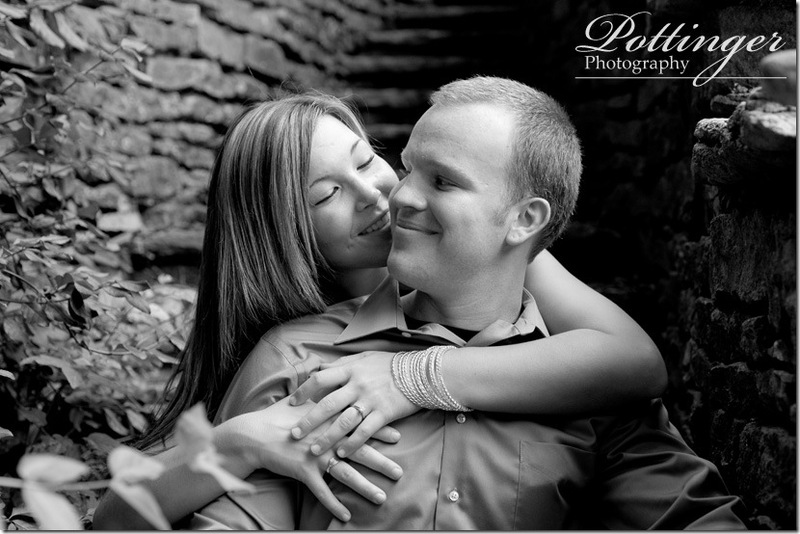 I am so excited to come back in the Spring for your wedding!